Would you like to easily access, search and edit your hardcopy documents and text in image files? Saturn OCR scanning service has helped lots of people and companies save time, money, and aggravation. 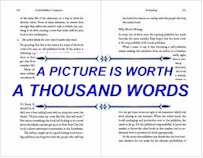 We cater to cost-conscience people - owners or operators of businesses, editors, individuals - that are in need of professional OCR services at prices that are lower than most. We realize that cost is an important factor of the decision making process when determining which firm to entrust with your OCR project. We take pride in the fact that we deliver fast, accurate, and affordable results. The process to convert scanned documents and images of text (i.e., PDF, jpg, gif, tiff, etc.) into editable and text searchable files is called optical character recognition (OCR). Saturn OCR Service uses proprietary OCR software coupled with custom programming that converts scanned documents and image files into popular computer readable formats - Microsoft Word, Excel, HTML, XML, searchable PDF's and more. With Saturn OCR Service you get exactly what you want, when you want it. Saturn OCR Service is fully equipped to handle all types of scanning projects. Our knowledge of converting documents and image files is based on over 40 years of experience - developing new, state-of-the-art techniques and enhancing tried and true processes. Because the text and data output is of the highest quality, OCR Service offers a reliable, cost-effective solution for your ocr scanning needs. We have the experience you can trust to get your project done right and on time. We pride ourselves on delivering the "goods" and aren't satisfied until you are. REMEMBER: Client satisfaction is the ultimate measure of our success. Our OCR Scanning Services cover all aspects of image file and document conversion including, but not limited to, document preparation, scanning, text recognition, formatting and cleanup. This process combines proprietary OCR software with a robust, detailed manual component resulting in the highest accuracy rate available and fast turn-around time. We provide scanning services for image files, paper documents, books, manuscripts, manuals, contracts, lists of any kind -- basically anything currently on paper or in PDF, jpg, png, gif, tiff files and more -- materials that cross your field of vision daily. Even though our outstanding OCR services may cost less when compared to some other vendors that offer OCR services, we are adept in using time-tested, proven strategies that work - plain and simple. We are not your “run of the mill” OCR agency. We live and breathe OCR and we know what is needed to have the results of your scanning project delivered to you exactly how you want it. Just as we have done for many current and past clients. Our OCR scanning services are extremely affordable and our exceptional, professional scanning services produce results that meet or exceed your expectations. Save money, time and headaches by putting your project in the hands of a team already equipped and well trained, who bring vast experience to any text recognition project. With Saturn OCR Service, you can expect only the best OCR methods and results. Our commitment to our clients' success makes us a preferred vendor for many of the country's top publishers, agencies and commercial concerns. Recognized for our advanced technology of converting information on paper and in image files into editable and searchable text, we deliver accurate, timely and useable data. Knowing your project is in experienced hands makes for an anxiety free conversion experience. This is what you get when you choose Saturn and you can relax knowing that you made the right choice. Contact us today for a complimentary consultation and a free sample of your scanning project. Please attach a representative sample of the materials for your project to an email. You may take a photo with your smart phone if the materials are not currently in image form [pdf (300 dpi), jpg, gif, png, etc.] The key to using your mobile phone for the image is light, light, and lots of light. See that the materials are squared in the photo. Provide the desired output format and any additional information in the email. We will reply promptly. Saturn OCR Service is a professional OCR scanning, document imaging, and character recognition firm. We provide conversion from paper and image files to searchable, editable text and data in the format of your choice. We help individuals and businesses of all types and sizes obtain high-quality, relevant, useful data from almost any source. Our services can be trusted to get your project done your way and on time. Provide a representative sample of the materials to be scanned. We will provide, via email, the output of the sample to your specifications in the format of your choice with a firm quote completely free of charge. Email hal@satsoft.net or call 702 648-0767 today! Saturn OCR services help you obtain relevant, searchable, editable data from almost any source AND you can have it YOUR way - the exact information you want the way you want to see it. We have been helping clients have it their way for over 20 years.